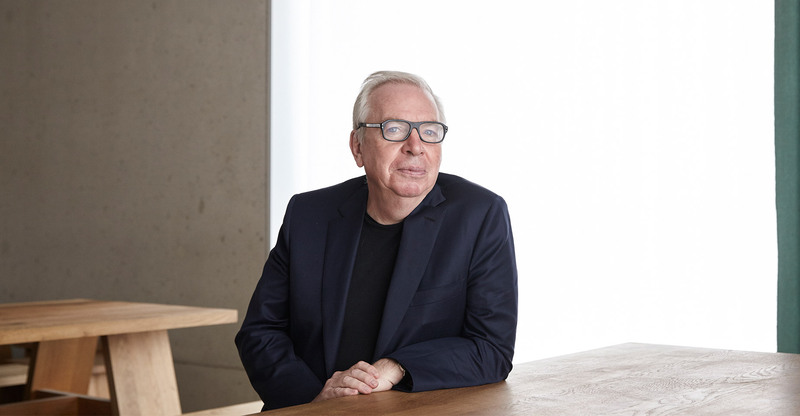 Mr. Chipperfield, how do you feel when you’re standing in front of a finished building? Well, the problem with architecture is that it’s a long process. Many of the bigger projects that we have — and even the smaller ones — tend to take three years minimum but they can also go on for five or 10 years. So there is no real single defining moment in the way that there sometimes is with other creative processes. It’s not like in theater, where you think, “Okay, tonight’s the opening night,” and then you all go out for a drink afterwards. A building is progressively being completed, even on the day of the opening! I think the point when you can really stand back is a little bit later, maybe one year later. What will have changed in that one year? I think that’s when the work has become naturalized. 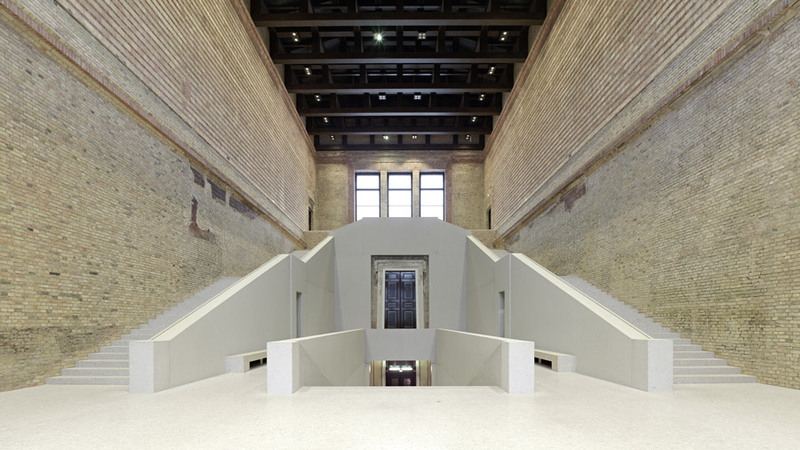 With something like the Neues Museum in Berlin for instance, for the first year, I couldn’t really relax by going there. Now I quite like going there, like a foreigner or a visitor. It was the same way when we were planning our offices in Berlin. We spent a lot of time developing it and worrying — should we have two rails for the curtains? What sort of door handle should we use? Now it’s just become a place to work, but at the time, it was difficult to enjoy it when we didn’t have any distance from it. It’s nice when a building moves from being the subject to becoming the object. In the moment when you’re designing a building, it’s the subject. One year later, when you just go back and see it, it’s the object. It becomes part of the city. It starts to sit where it should be sitting. That seems to be crucial for many architects. Cesar Pelli said that understanding culture is essential, and that, for example, designing an American building in a foreign country is a mistake. I think there are moments when the autonomous energy of a building is successful and appropriate, of course. If you think about Bilbao, which had a big effect on everybody, it was a convincing moment of “firework architecture.” It’s a spectacle, you know? You stand back and in a way, the reason it’s interesting is because it stands out, it doesn’t fit in, it doesn’t look like anything you’ve seen. But this is not really my position — generally. There might be moments where such a performance is necessary but we like to find a stronger relationship between the familiar and the unfamiliar. My feeling is that when a building is too self-referential, the audience is distanced; architecture becomes something that you look at. Like in a cathedral or a monument. Right, it’s a spectacle — whereas I think for 99% of the time, architecture is something that you should be inside and absorbed by. It’s something which convinces you by experience more than impresses you by image. Having said that, it’s not an easy line. I would say that there are some buildings which manage to be quite novel, let’s say, and still enjoyable to be in and reassuring. We try to draw the line tighter between normality and specialness. 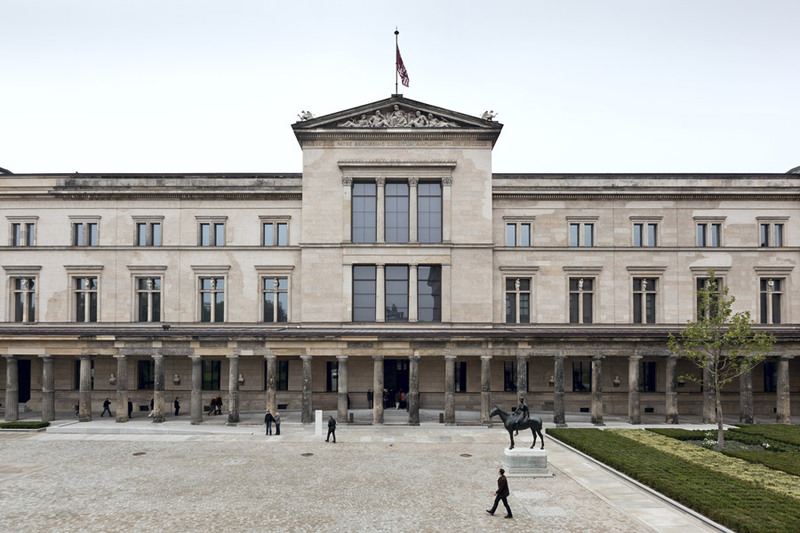 Recently you worked on restoring the Neue Nationalgalerie, and on an extension of the Neues Museum in Berlin. How does that line bend or change when you’re working on building that someone else has built? Museum clients, of all of the clients, are probably the most sophisticated in terms of how they judge what they want. They are also a little bit more confident about what they need. We’ve been very lucky in finding clients and getting commissions, whether it’s in Saint Louis or here in Berlin, where once you’re in a dialogue and once you’re in a process then you can find ways of discussing and developing an architecture which is not necessarily so loud. But I guess these are also places where people think that probably loudness is not the right thing anyway so our quietness may be seen as a great advantage. Even though there’s still quite a bit of noise even before the design process starts, simply because these buildings have a heritage. 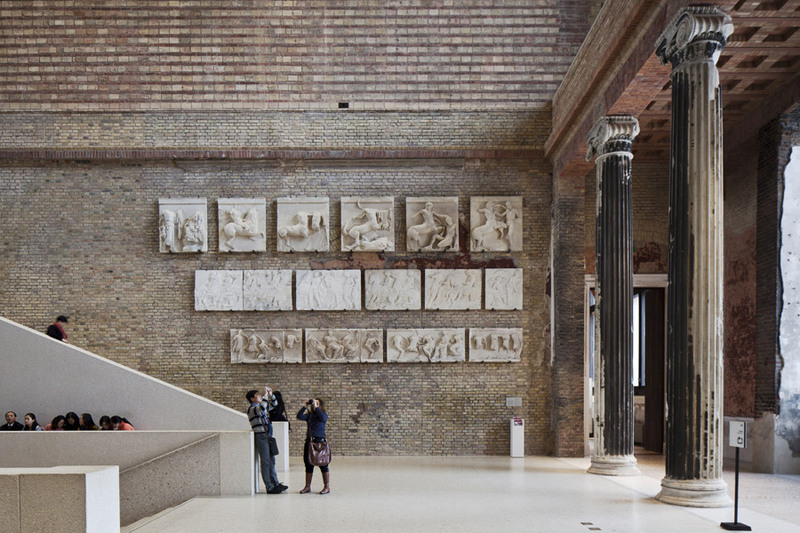 When you were picked to work on the Neues Museum, the initial reaction wasn’t positive. Not just in the initial, throughout the entire project! (Laughs) I think it’s a good demonstration of Berliners’ engagement, whether positive and negative. There were some who were very aggressive but as soon as they saw the finished building they said, “Well, okay. Let’s not fight him anymore, it’s fine.” Ultimately it was a fascinating German intellectual debate about memory and nostalgia. How does your own memory play into these kinds of processes? I’m sure you have your own memories of privately visiting the Neue Nationalgalerie even before you started working on it. I think it differs from one thing to another. 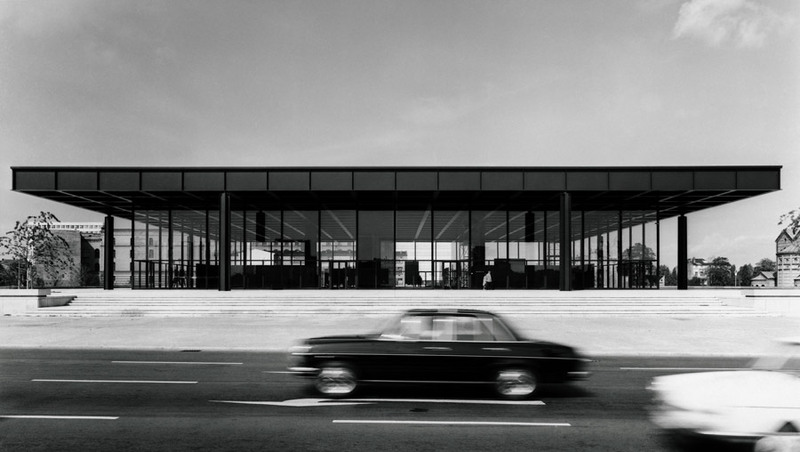 But you’re right, the Neue Nationalgalerie for me, and for many architects, was and remains a very important part of one’s architectural inspiration. Especially in Europe where we don’t have that many opportunities to see a Miesian building. It’s a touchstone for nearly all architects and it certainly was for me. In that sense it’s very strange to work with the building because it has this kind of unquestioned authority. It’s like working with a Greek sculpture or something similar, where you’re interested in protecting it and making it exactly what the designer intended. It’s a very unique exercise. Does the art that’s inside a museum also influence you? It does a lot. If you’re working for the Kunsthaus Zurich, for example, and you know that they have collections which are amongst the best in the world, you know that the most important thing is to build a good frame for the work. However, if you’re building a museum in the North of England, where they don’t really have a large permanent collection, you feel the architecture needs to work a bit harder, offer a little more. I’m sure the museum’s collection also influences which architect they are going to hire for the job, as well. You could certainly blame museum directors in the last 15 years for adopting very loud architecture sometimes, for exactly that reason! They want to bring more people in. They have an ambition to go from one and a half million to four million visitors and they think if a building that looks like a spaceship is added to the back of the building, it’s going to bring in a lot of people. There was a moment when a lot of museum directors were really excited about this sort of destination architecture. What do you think that says about the future of museum architecture? Well, I think it’s calmed down now. I think there is more of a balance now. I think architects have become better at designing spaces for paintings, rather than competing with them. Perhaps our success and our reputation is somewhat secured by the fact that we can rely on many architects not being that interested in that! (Laughs) It’s great help for us!